This page concerns wrongful termination settlements in Hawaii. It will be uncommon for good cases to go to trial, simply because they mostly reach settlement out of trial. However, when they don’t reach settlement, there is a lawsuit, where the employer or the employee will be the winner. The majority of litigation cases incorporate mixed settlements, which means that they involved a single, or several claims of wrongful termination attributable to firing in violation of public policy, age discrimination, sexual orientation, gender expression or gender identity discrimination, workplace retaliation, race, color, national origin, religion discrimination or pregnancy. The table displayed presents a snapshot of the different types of cases filed together with their specific quantities in the state of HI in 2017. Hawaii is a small state, and as such, has one of the lowest rates of discrimination and wrongful terminations in the country. Here are a few cases we found from Hawaii. In this discrimination and retaliation case, we can see that wrongful termination does not have to take place to violate discrimination laws. A female firefighter worked at the company’s Pacific Missile Range Facility in Kekaha. Her male colleagues and supervisors subjected her to constant sexual harassment by making sexual remarks and showing her sexual drawings. She complained about the hostile work environment to management on several occasions, but they didn’t see the severity of the situation. Instead, she was reassigned and disciplined in retaliation for her reports. One of her male colleagues who assisted the victim with filing her complaint was also reassigned in retaliation. The Americans with Disabilities act protects job applicants from unlawful discrimination due to disabilities. An employee who had worked for the Hawaii Electric company for 6 years, applied for a new position within the company. The position was that of meter reader. The applicant had an eye disease, which left him blind in one eye. Because of this, he was denied the position, even though he had perfect vision in his other eye, which would have allowed him to complete the requirements of the job. The General Manager of Aloha Auto Group’s Harley-Davidson dealership on Kauai, made offensive comments towards Asian-American Pacific Islanders. Daniel Young, an employee of the company encouraged his fellow co-workers to speak up about the racial harassment. When the manager found out about this, Young was fired. 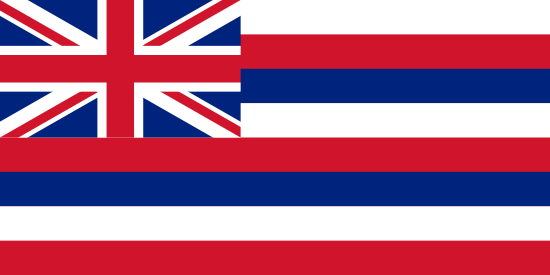 EEOC v Step Three Ltd.
A woman working for Step Three, a Hawaiian resort retailer, was allegedly mistreated after informing her supervisor that she was getting infertility treatment, and later fired after she became pregnant and told her boss that she has pregnancy related travel restrictions. Pregnancy discrimination violates Title VII, the Pregnancy Discrimination Act, and the Americans with Disabilities Act. The EEOC sued the company, and reached a settlement through consent decree. When viewing our list of unlawful firing settlements from Hawaii, keep in mind that the large sums are the result of punitive compensation. Punitive damages are rewarded to discourage organizations from doing the same unjust behavior. Punitive damages are especially infrequent. Most claims settle for anywhere from twenty thousand to a few hundred thousand dollars. This unique list of unlawful firing verdicts in HI is intended for informative purposes. Even if you feel resemblance to any of these claims, remember that each and every single situation is unique. If you suspect that you were wrongfully terminated, it’s easy to understand that you want to find out approximately how much money you are likely to receive for your unlawful dismissal claim. In the event that you reach settlement, the figure you get is ordinarily determined by these factors: benefits lost, reason of termination, the costs of finding a new job, lost wages, mental anguish and medical costs. Punitive damages may also be awarded in rare cases, in the event the company behaved egregiously. As can be seen from the sample lawsuits described above, providing a typical settlement for wrongful dismissal claims in HI is actually difficult, given that each claim is different. The average wrongful termination settlement in Hawaii is between $5,000 and $100,000. Lawyers can certainly be effective when working out a larger settlement. The majority of court or jury awards tend to be bigger, around $100,000 and $500,000. This is a good reason organizations choose to settle before going to court. If you feel you had been terminated for some kind of unlawful cause, read on to find out what you should do. First, you will want to speak with a wrongful termination lawyer in Hawaii to see if you have got a case worth pursuing. Don’t hold off, since there can be deadlines to filing unlawful dismissal claims in Hawaii. Second, you will most likely need to submit a timely claim with the EEOC office in Honolulu. Here are some pointers on filing a wrongful termination claim. Even though employment-at-will is the prevailing form of employment in the USA, there are laws to protect employees against unjust discrimination and harassment. WrongfulTerminationSettlements.com was created as a compass for people who feel they have been terminated wrongfully, or discriminated against at their workplace.